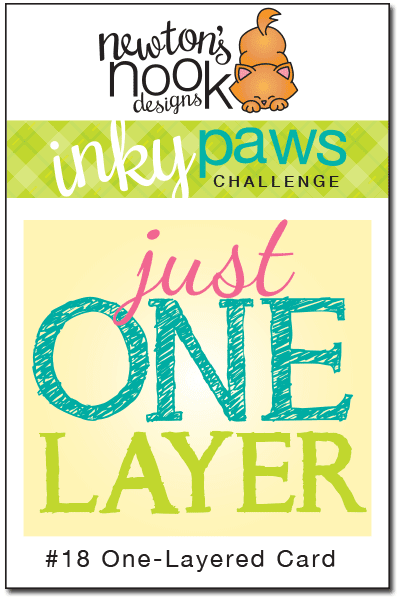 Inky Paws Challenge: Inky Paws Challenge #18 - Just ONE Layer! This month's challenge is to a Create a project using just ONE layer! You have two weeks to play along. Deadline to enter is Friday, March 6th, 2015 at Midnight CST. The winners will be announced on the NND blog on Monday, March 9th. Post your project to your blog or to an online photo gallery such as Flickr , Pinterest, or splitcoaststampers (on splitcoast please use keywords newtonsnook and IPC18). This adorable one-layered scene was created by Yukari Yoshioka. She used our Newton's Daydream stamp set. 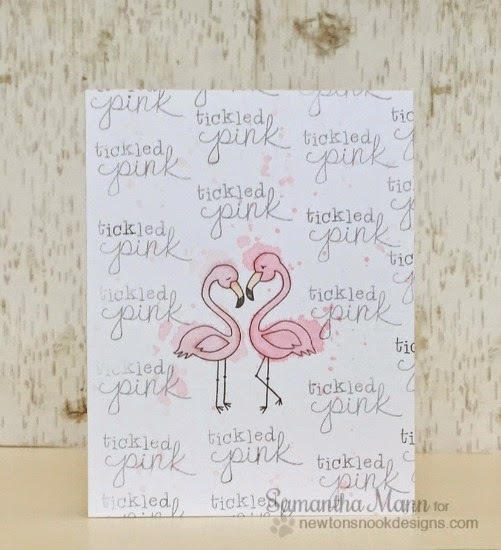 I love the fun way Samantha repeated the words over and over around the flamingos from the Flirty Flamingos stamp set! So fun! 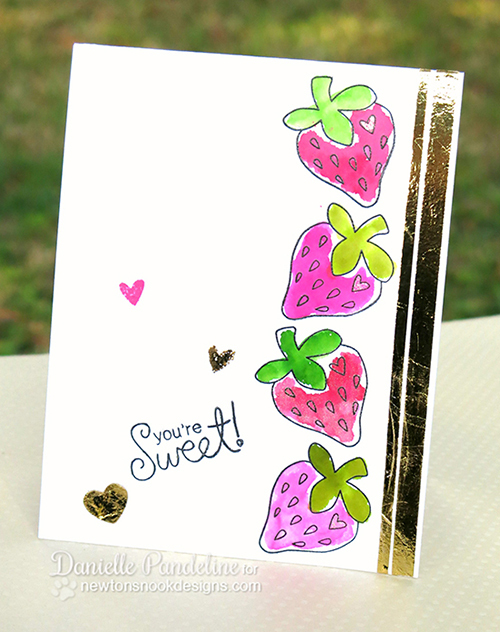 Danielle created this fun strawberry card using the Sweet Summer stamp set! Love the watercolor mixed with gold foil! This card by Jess has so much dimension you can hardly tell it's just one layer! 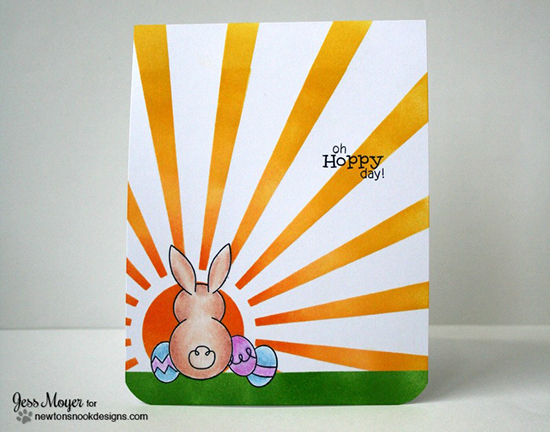 She used the Bunny Hop stamp set and a fun sunburst technique! 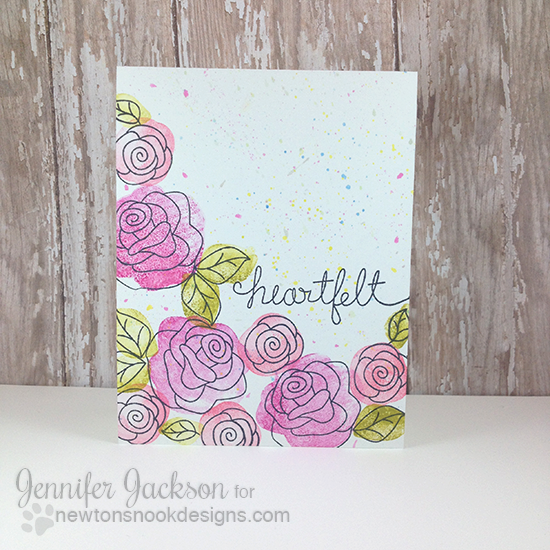 This stunning one layer card is by Kimberly! 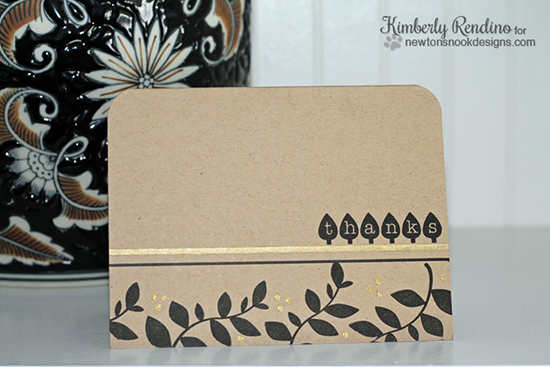 I love the look of the gold and black on the Kraft card base. She used the Falling into Autumn stamp set! So fun! Lydia got some extra mileage out of some fall themed stamps for this spring card! She used the spooky tree from the Spooky Street Halloween set and the dots from the Falling into Autumn stamp set to created the fun leaves. Then she added the sentiment from the Newton's Daydream stamp set. Here is a fun and playful one layer card is by Crafty Math-Chick! 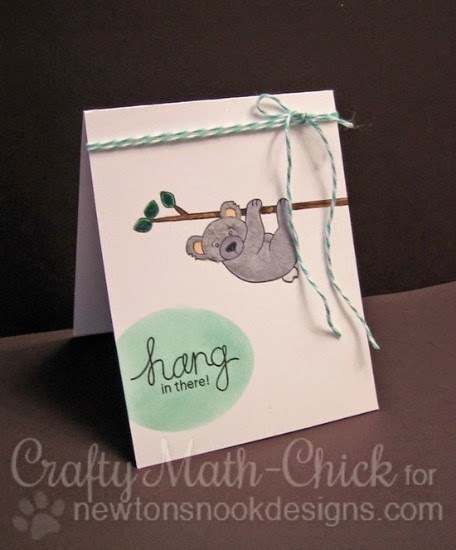 She even added fur to the koala from the Hanging Around stamp set. I also love the mint green circle she sponged around the words! Larissa created this fun one-layer scene with lots of creative masking (although she did break the rules a bit by mounting it on another piece of cardstock -lol!) 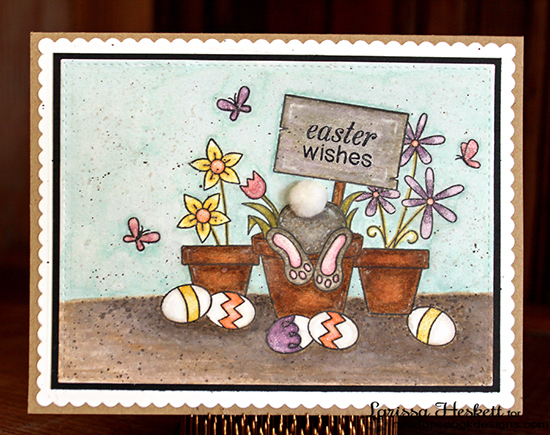 She combined stamps from Bunny Hop, Versatile Vases, Winter Tails and Newton's Daydream. What an adorable scene! Here was my try at a one-layer card. I stamped the flowers from the Love Grows stamp set and used the "heartfelt" from the Simply Sentimental stamp set. I added a bit of watercolor flicked onto it to add texture!